Being that the substance marijuana is being increasingly legalized, I can’t help but think of all the good it could bring. I searched up the benefits of using the plant and the most intriguing one was combatting alcoholism. I researched a bit more and found a few things. 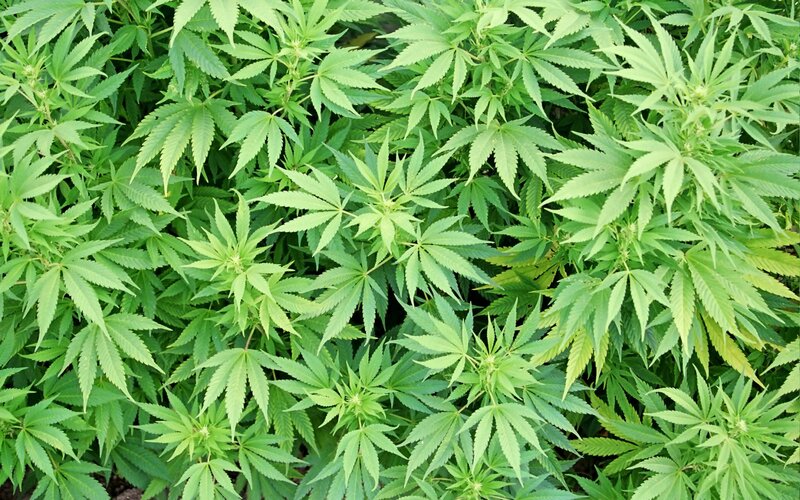 Being as though all of the students in SC200 are scholars and are likely unaware of the substance “marijuana” and its effects, I’ll briefly explain the science. The chemical THC is the effective ingredient in marijuana. When you smoke marijuana THC goes from the lungs into the blood stream, from their it goes to the brain. THC works by messing with cannabinoid receptors in the brain. Most of the cannabinoid receptors are located in parts of the brain that control pleasure, memory, concentration, and sensory experiences. Because alcohol is clearly also unbeknownst to you I’ll briefly explain the science as well. Alcohol affects the brain by changing the levels of neurotransmitters (chemical messengers that transmit signals throughout the body) in your brain. Alcohol increases the inhibitory neurotransmitter GABA which causes the sluggish movements and slurred speech when you drink heavily. Alcohol increases “pleasure” chemical dopamine in the brain. Because of this pleasurable feeling dopamine brings, it is easy to get addicted. According to the –NIH alcohol impairs memory and judgement. How can this substance “marijuana” that SC200 is obviously unaware of combat alcoholism? Well, because it has been used as a substitute for opiates and delirium tremens (rapid onset of confusion associated with alcohol withdrawal). The research that was done was meeting with patients with chronic alcoholism, and having followup visits to see if cannabis helped improve the patients life. Nine patients in this study reported that they did not drink alcohol for more than a year and said it was due to using marijuana as a substitute. Delirium tremens are usually treated with Valium, Ativan, Librium. These drugs do way more bad then good. Patients complain about side effects, and patients can become addicted to those drugs soon after. The use of marijuana as a substitute for alcohol to help addicts combat withdrawal symptoms and live sober lives is still under heavy review. Other then through observations there’s no scientific evidence that marijuana physically alters the brains of alcoholics to help them. However absence of evidence is not evidence of absence. Thanks for reading. Feel free to express your thoughts. This entry was posted in Uncategorized on December 2, 2016 by Ademilola Esther Badejo. Marijuana defnintly has health benefits. Although I hadn’t heard of this one before and it was very interesting to read about it in you post. I have watched a documentary about how canaboid oil had helped a girl who was having hundreds of seizures a day to now only having one or two a day. Marijuana really does have a lot of benefits to it and I think people are tarting t see that with the legalization movement in this country. this poll http://www.gallup.com/poll/196550/support-legal-marijuana.aspx shows that more than 60% of americans support legalization now, it will be interesting to see where this goes in the future. I find it interesting that to combat with alcoholism a method would be smoking marijuana. Battling alcohol with drugs isn’t something you’d think you’d want to mix but here it is. I wouldn’t have thought that these combinations would balance each other out. This also brings up the question that if you’re smoking marijuana to fight alcoholism, is that really solving anything? Because now the person is doing drugs. This is very interesting. The phenomenon to turn 21 in America, and be able to drink is so high. Drinking in college is almost as normal as not going to class for some, but I’m not really caught up in the hype. If I had to choose between marijuana and alcohol I would most definitely choose marijuana. I don’t like the taste of alcohol much, and I don’t like how hyper I get after drinking it. I like the calming effects of marijuana, though I am not a smoker so to speak. But if I had to choose one, it definitely would not be nasty alcohol. I’ve yet to do research on this, it’s simply a thought. But I wonder if U.S based companies that sell alcoholic beverages are looking into the cannabis market in case a growing number of our generation rather smoke marijuana. Food for thought. Thanks for the comment.